One of the most common parts to replace on the Accufast KT tabber is the tab sweep. 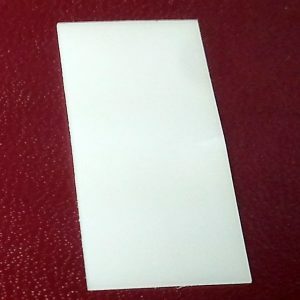 When the machine operates, a mailer goes into the front of the machine, hits a tab/wafer seal. 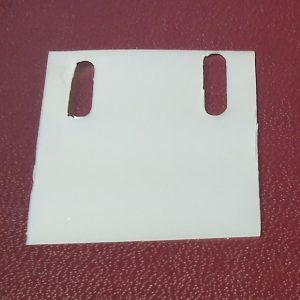 The wafer seal is folded in 1/2 by the bottom metal plate of the machine and the white plastic tab folds over the top 1/2. a foam roller then presses the tab firmly to the mailer. Do you have the KT that only applies 1″ tabs and need to apply 1.5″ tabs? Consider upgrading! Accufast KT1.5 Dual Mode Tabber for 1.5 inch tabs! Or have your machine upgraded.